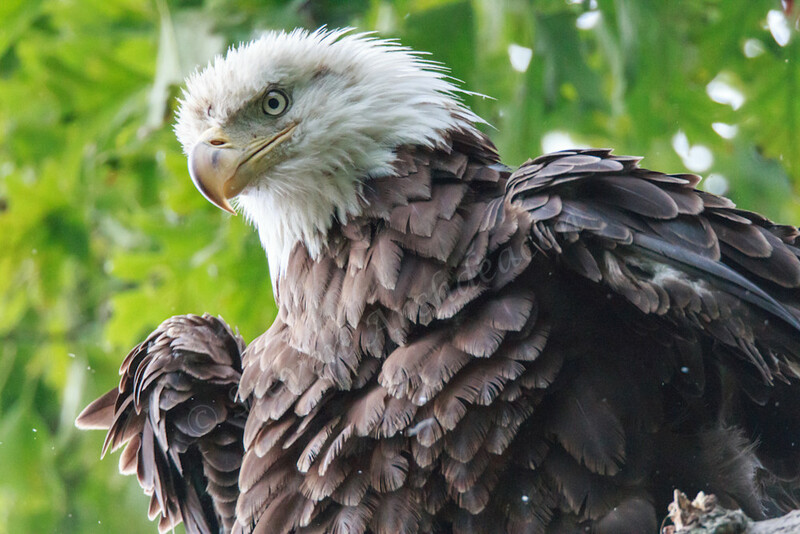 Bald Eagle with feathers ruffled looking intently at something by fine art photographer Steven Archdeacon. I rented the Canon 800mm lens ($13,000 lens) + a 1.4x TC (which zooms it in even further) and this was one of my favorite shots I got out of the 2,800 pics I took. I like the way her feathers were ruffled and the look in her eye as she was looking very intensely at something. Such beautiful animals to see in person and to photograph!